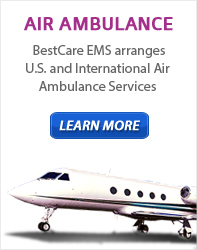 BestCare EMS can assist patients, their family members or case managers with long distance medical ground and arrange & coordinate air transport anywhere in the continental U.S.
BestCare provides services for patients who require specialized wheelchair and motorized unit transportation. BestCare EMS understands your field trip and large group transport concerns. Safety comes first, your budget is a close second, and schedules are a very important third. We treat all three of your concerns as first priority. BestCare can get you to your destination safely and on time, while keeping your cost down, by utilizing our mini bus transports.